MBA Interview 3 – The Consultant & Self-Starter Booth School of Business Chicago. 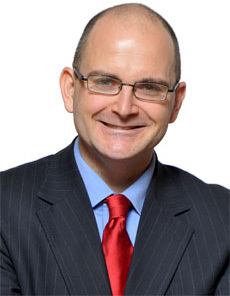 Today’s MBA interviewee is John Paul Engel, founder of both Knowledge Capital Consulting and Project Be The Change and an MBA graduate from the University of Chicago, Booth School of Business 1998. John used his time in business school to learn about how business is done around the world, as well as growing his network extensively. We asked him for his advice for MBA students. Can you tell us about your GMAT preparation strategy, and how you did on the test? I would go to the library George Washington University every Saturday for 6 weeks prior to the test and take a practice exam in test taking conditions. I think I used the Kaplan books. I don’t remember my exact score but it was good enough to win a scholarship at UCLA and to get me into Chicago. How about test day? What do you remember from the day? I felt confident because I had practiced. It just felt like another Saturday. You traveled a lot during your MBA. Can you tell how these projects came about? I entered the International MBA program at the University of Chicago (since discontinued). This program required an internship abroad and a study abroad experience as well as fluency in at least two languages. It was a requirement to graduate to complete all the classes of the full time program as well as these additional requirements so I knew going in I would have to get international experience. Mexico Project – During my interviewing process for internships I expressed my need to do an international internship. This probably had a negative effect with some companies as it is rather costly to set up an internship abroad for them. Fortunately, Progressive Insurance was examining the possibility of entering a foreign market at the time and my boss Alan Bauer wanted to hire me. We negotiated the project as part of my internship along with them. I also invented a program that helped Alan convince the CEO Peter Lewis to launch selling insurance on the Internet. These two projects enabled me to meet the head of McKinsey & Co. Cleveland Office and fly on Progressive’s corporate jet with billionaire founder Peter Lewis. Peter later gave me court side seats to a Cavs 76ers game. Cuba Project – I applied for and received a scholarship to go to Cuba as part of an exchange program between the University of Chicago and the University of Havana. I studied entrepreneurship in Cuba. I believe my volunteer work offering to help host visiting economists from Cuba helped me secure this grant. Venezuela Project – This project was part of Professor Marvin Zonis’ class. We studied the market for insurance services and assessed the political risk in the country. I was interviewed in Spanish on Venezuelain national television and we meet the Head of Latin American Finance For Proctor and Gamble on this trip. Japan Project – I helped a class study the Japanese snack market but my primary purpose for this trip was to study Japanese. I spent six months in Japan working on my Japanese language skills. Was it expensive partaking in these trips abroad? How did you fund the trips? All of these trips were paid for by others. Mexico City I stayed at an expensive Japanese hotel and was on an expense account. Cuba I stayed in a $30 a night hotel and all my expenses were paid by the grant (approximately $1,500). Venezuela we stayed at a moderately priced residents hotel and traveled to several parts of the country (approximately $2500). The most expensive was the six months in Japan (approximately $15000). I paid for that project out of my signing bonus. What did you learn from your travels? I learned that business customs are very different depending on the country. I found out how to arrange meetings with senior executives, government officials, and other person’s of influence in different countries. I learned how to conduct a market assessment. I saw some of the challenges of corruption that make doing business in some markets more difficult than the US. The most important lesson I learned in Cuba meeting with these small business owners that were creating businesses in the worst possible circumstances. The average Cuban makes $15 a month yet these courageous individuals had found ways to build small businesses that were generating tens and sometimes hundreds of times that amount for their families. What advice do you have for people undecided about attending business school? Is it worth the time and money? Don’t go to business school unless you have a very clear idea what you want to get out of the experience. Know going in that you want to work on Wall Street, Consulting, Corporate Career, etc. If you want to start your own business start it before you go to business school and use everyone of your classes to build your business. Do everything you can to start building a network right away. Don’t be afraid to call alumni that are doing exactly what you want to do. Do this from the very first day of business school. One of my friends did this and had an internship on Wall Street setup before the end of the first semester. I started a student group with a friend because we both wanted to be President of a group. By starting one we were guaranteed to become President. We grew the club to one of the largest groups on campus. Partnering with the local chapter of a national association we were able to line up top speakers and create networking opportunities for other students at joint meetings. We provided the space which was given to us for free by the school and the association provided the refreshments and speakers. Then our members had the chance to mingle with their members enabling them to prospect for jobs. This helped us become two of the best known students on campus. I entered consulting competition and my teams won the Deloitte & Touche Consulting Challenge and the National Consulting Case Competition. This helped me further stand out in the very competitive environment at the University of Chicago. Take the time to get to know your professors because they can open many doors for you in the future. Work hard to stand out. One of the coolest opportunities I had as a student was getting to provide part of a lecture for one of the professors based on my work in another class. When a professor recognizes your work they can write a very personalized letter of reference for you. I believe my time at the University of Chicago was definitely worth the time and the money. It opened doors for me that I would have been very hard for me to open on my own. I had the opportunity to learn from some of the best minds in business and to meet some of the top executives in the United States. Like everything in life though it will only be worth to you what you put into it.